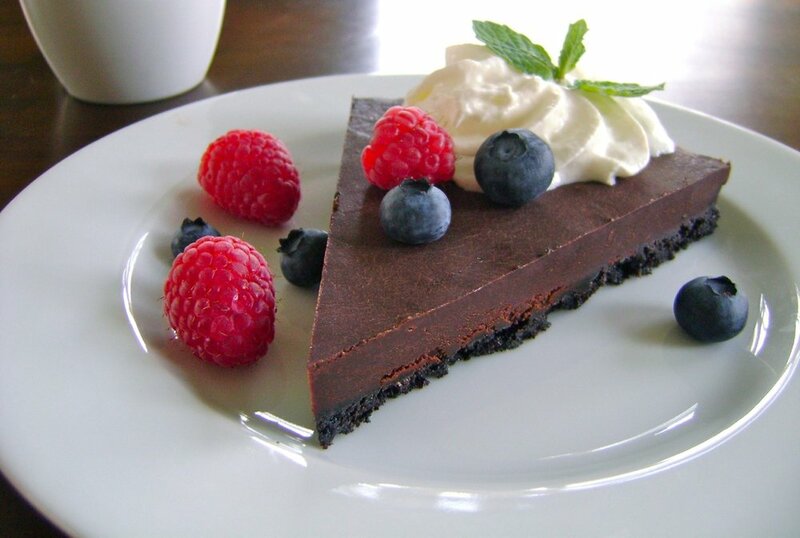 This chocolate tart is one of my all-time top five desserts. It’s easy to make, rich and satisfying, and absolutely stunning to serve. The other wonderful thing about this dessert is its simplicity. The filling requires just a handful of ingredients: butter, cream, vanilla, chocolate, and a pinch of cinnamon. The crust is just butter and chocolate cookies (Oreos, Teddy Grahams, or other chocolate wafer cookies). You process the cookies with melted butter, and then press the mixture into a tart pan and bake it for about 15 minutes. We often make this tart for birthdays and holidays, and even casual dinners at home. As a special tradition, John always makes it (yes, even John can make it!) on Valentine’s Day, which is just around the corner! Hope you get a chance to try it, and hope you love it as much as we do! 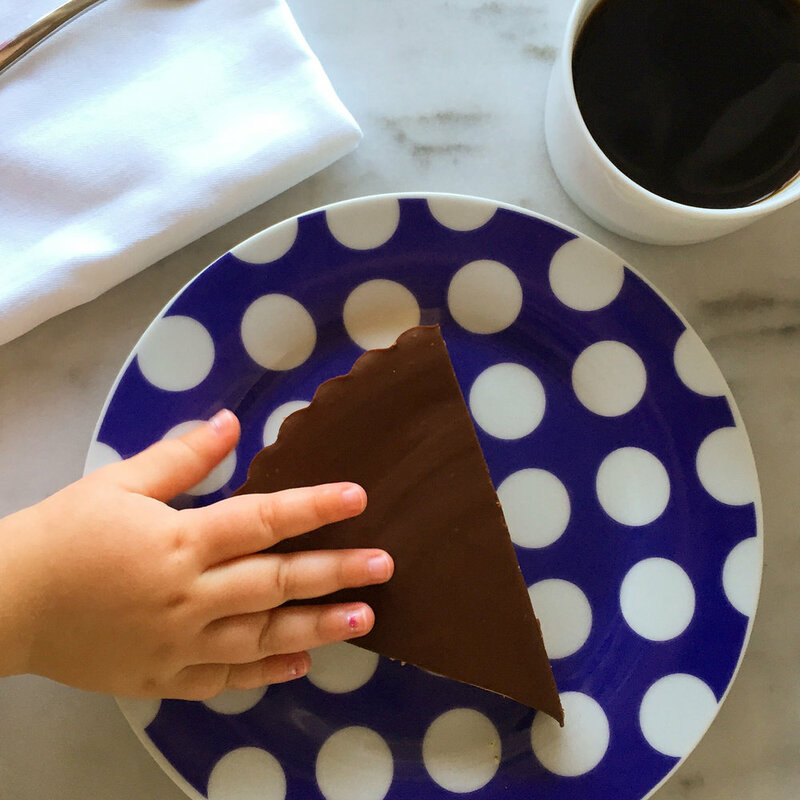 Serve with whipped cream or little chubby baby hand, as both are delicious!! Place cookies in the bowl of a food processor. Process until finely ground. Add melted butter; process until combined and moist. Press crumbs into a 9-inch tart pan with removable bottom. Bake until set, 12 to 15 minutes. Cool. 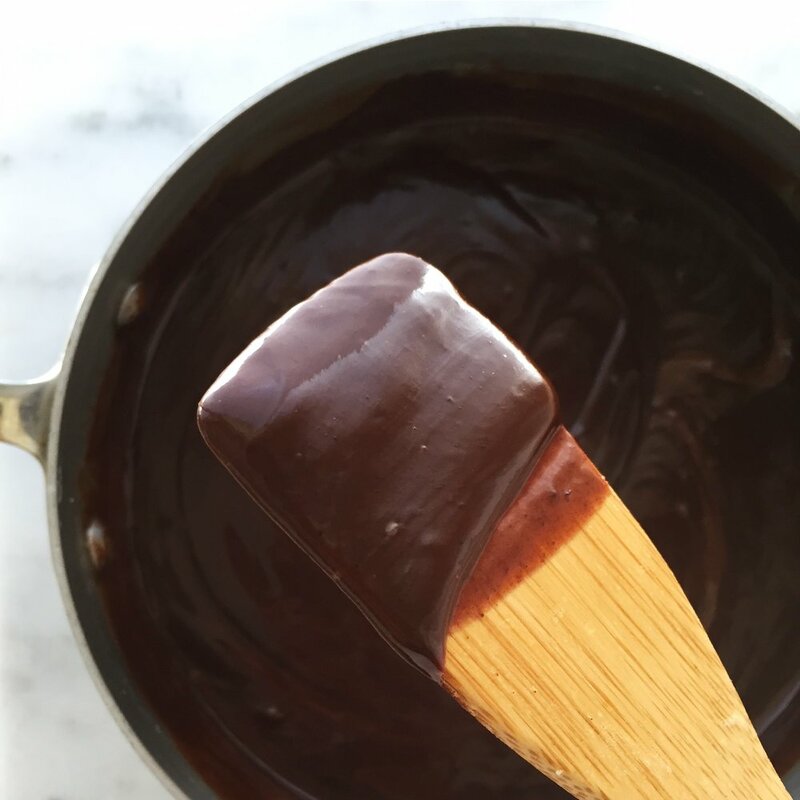 Don’t start this step until the crust is done … otherwise you’ll have melted chocolate and no place to put it :) Place cream, vanilla, salt, and cinnamon in a medium saucepan. Bring to a simmer over medium-low heat. Add butter; stir until butter is melted. Turn off fire and remove pan from heat. 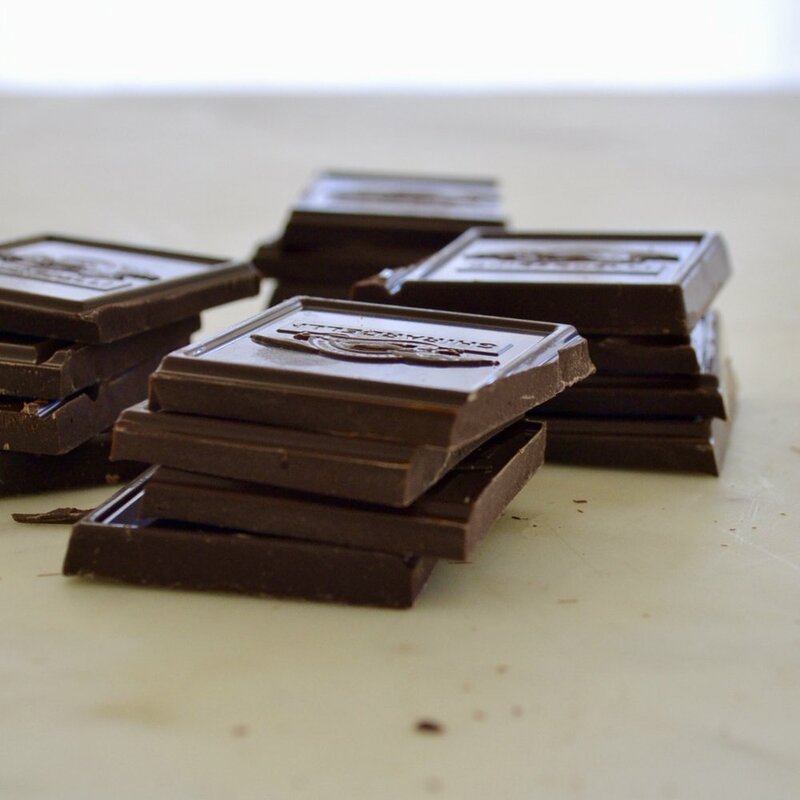 Add chocolate; stir until smooth. Pour filling into crust. Smooth top with a spoon if needed. Refrigerate until filling is set, about 3 hours. Slice and serve chilled. Top with whipped cream, berries, and fresh mint, if desired.